Min-Ling Zhang received the BSc, MSc, and PhD degrees in computer science from the Department of Computer Science and Technology, Nanjing University, China, in 2001, 2004 and 2007, respectively. Currently, he is a Professor at the School of Computer Science and Engineering, Southeast University, China. 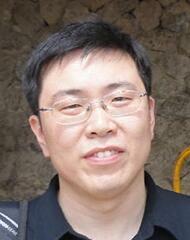 His main research interests include machine learning and data mining. In recent years, Dr. Zhang has served as the General Co-Chairs of ACML'18, Program Co-Chairs of ACML'17, PRICAI'16, Area Chair/Senior PC member of IJCAI'18/'17, AAAI'18/'17, ICDM'18/'17, PAKDD'16/'15, PC member of KDD'18/'17, ICML'18/'17, NIPS'17/'16, etc. He is also on the editorial board of ACM Transactions on Intelligent Systems and Technology, Neural Networks, Frontiers of Computer Science, Science China Information Sciences, etc., and one of the guest editors for the Machine Learning Journal special issue on learning from multi-label data. Dr. Zhang is the secretary-general of the CAAI (Chinese Association of Artificial Intelligence) Machine Learning Society, standing committee member of the CCF (China Computer Federation) Artificial Intelligence & Pattern Recognition Society. He is also the recipient of the CCF-IEEE CS Young Scientist Award (2016). Abstract: Partial label learning (PLL) is one of the important weakly-supervised learning frameworks. Under the partial label learning framework, each example is associated with multiple candidate labels among which only one is valid. Partial label learning techniques have been widely used in many scenarios including automatic multimedia content annotation, natural language processing, ecoinformatics, etc. In this talk, the state-of-the-art on partial label learning will be introduced from three aspects. Firstly, the problem setting of partial label learning and its relationships to other weakly-supervised learning frameworks are briefly discussed. Secondly, existing works as well as our recent progresses on designing partial label learning algorithms are summarized. Thirdly, related academic resources on partial label learning are given. Liying Zheng received her B.Sc., M.Sc. and Ph.D. degrees in Control Theory and Control Engineering from Harbin Engineering University, China, in 1999, 2001 and 2003, respectively. At present, she is a professor in the Department of Computer Science and Technology at Harbin Engineering University. In 2009, she was also a visiting fellow at Nanyang Technological University, Singapore. Her search interests focus on image processing, object detection and object tracking. She has authored or coauthored more than 30 transactions and conference papers, and holds about 10 patents. In 2013 and in 2014, she and her collaborators organized a special session on Computer Vision and Pattern Recognition in the International Conference on Machine Learning and Cybernetics. She served as a session chair at 2017 IEEE International Conference on Mechatronics and Automation, and as a technical committee member at 2018 International Conference on Machine Learning and Computing. Abstract: Due to the coherent nature of scattering phenomenon, coherent imaging systems such as radar, sonar, and ultrasound systems are inherently corrupted by a granular multiplicative noise, called speckle noise. Such speckles visually degrade the image quality, leading to the poor performance of further operations on coherent tomography images. Though a lot of efforts have been made, it is still an open problem of preserving details while reducing speckles. On one hand, speckle formation is data-dependent random process. On the other hand, either the earlier analysis results of speckles by Raghavan and Beauchemin et al, or the recent analysis of Gragnaniello et al tells that the ratio of arithmetic to geometric mean is a suitable measure to separate speckles from useful image features. Based on these two facts, we study a data-related adaptive Center Affine Filter (CAF) for removing speckles from images. The designed CAF is capable of adaptively suppressing the speckle noises while maintaining the useful details in an image. 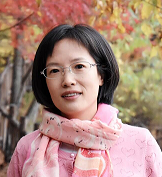 Professor Hong Zhang received her BEng and PhD from Huazhong University of Science and Technology and the University of Western Australia respectively, and is currently working at Griffith University, Australia. She is an expert in the fields of water resource engineering and hydroinformatics. One of her key research interests lies in data driven modelling of complex systems in water and coastal engineering. Building capacity for improving the accuracy of numerical models in understanding and predicting variations due to climate change can determine more effective design for coastal and water utility infrastructures and inform better decisions for water and coastal resources management. Outcomes has significant impact on the understanding and implementation of strategies to mitigate the effects from climate change. Abstract: Water plays a key role in shaping a coastal city. Advanced sensor technologies coupled with intelligent computing techniques creates an opportunity to increase the fundamental understanding in water industry and provide practical solutions for government agencies and decision makers. Applications of intelligent computing methods such as machine learning, artificial neural networks, in reliable water supplies, flooding protection and water end use have been completed. The studies ensure that water infrastructure systems are innovative, can support a diverse and sustainable economy and help form a water sensitive city. Simon Fong graduated from La Trobe University, Australia, with a 1st Class Honours BEng. Computer Systems degree and a PhD. Computer Science degree in 1993 and 1998 respectively. 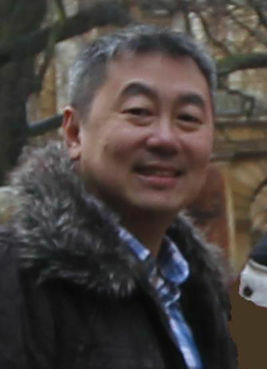 Simon is now working as an Associate Professor at the Computer and Information Science Department of the University of Macau. He is a co-founder of the Data Analytics and Collaborative Computing Research Group in the Faculty of Science and Technology. Prior to his academic career, Simon took up various managerial and technical posts, such as systems engineer, IT consultant and e-commerce director in Australia and Asia. Dr. Fong has published over 373 international conference and peer-reviewed journal papers, mostly in the areas of data mining, data stream mining, big data analytics, meta-heuristics optimization algorithms, and their applications. He serves on the editorial boards of the Journal of Network and Computer Applications of Elsevier, IEEE IT Professional Magazine, and various special issues of SCIE-indexed journals. Abstract: Data mining has been a useful knowledge discovery technique for many useful applications far and wide. To optimize the data mining efficacy further, optimization techniques are usually applied for assuring the predictive model is neither underfitted nor overfitted. In this talk, a relatively new generation of metaheuristic search methods are introduced, namely Swarm Search. We will show that Swarm Search is able to obtain better performance in data mining, from several popular data mining applications, ranging from medical to IoT data analysis. 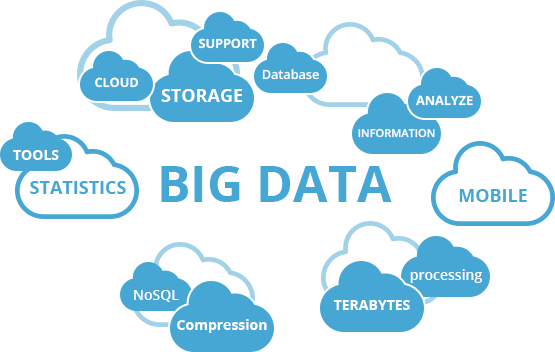 In particular, it is known that building a good predictive model from high-dimensional data in data mining is a challenging endeavor. One key step in data pre-processing is feature selection (FS) which is about finding the right feature subset for effective supervised learning. FS has two parts: feature evaluators and search methods to find the appropriate features in the search space. In this talk, we demonstrate how this collection of swarm search methods that implement metaheuristics search or swarm search (SS) which can be used freely by ANYBODY to enhance data mining performance. SS has the advantage over conventional search such as local search, that SS has the facility to explore global optima by a group of autonomous search agents. We have recently added nine new methods to the Weka machine learning workbench. The objective of these nine swarm search methods is to supplement the existing search methods in Weka for providing efficient and effective FS in data mining. This keynote has a hands-on demonstrate part, which guides you how to do yourself, in the hope that you can repeat the same techniques and your research results could be enhanced as well. Our demo results show that in general SS has certain advantages over the conventional search methods. The SS methods can be found in the Weka Package Manager as open source code. Researchers and Weka users are encouraged to enhance data mining performance using these free swarm search programs. 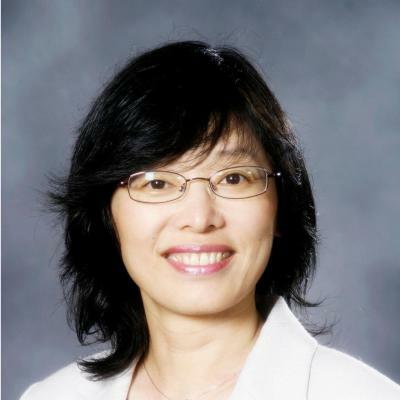 Dr. Lin Huang is an Associate Professor in the Department of Engineering and Engineering Technology (EAET) at Metropolitan State University of Denver, where she has been a faculty member since 2010. Dr. Huang received her M.S. degree in Fudan University in China and completed her Ph.D. in Electrical Engineering from Florida Atlantic University in USA. 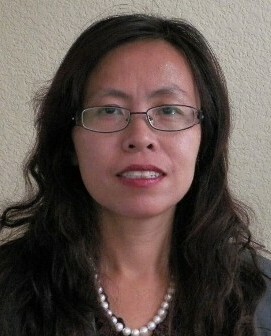 Her research interests are in the area of Biometrics, Pattern Recognition, Signal Processing, Computer Vision, Machine Learning, Embedded System Design and VLSI. Dr. Huang was recognized in the post "20 Professors in Engineering Technology to Know" in the website of OnlineEngineeringPrograms.com, an online resource for prospective students interested in the Engineering Field. The list is comprised of some of the outstanding professors and Universities in the field. Dr. Huang is senior member of Institute of Electrical and Electronics Engineers (IEEE) and International Association of Computer Science and Information Technology (IACSIT), and a member of American Society for Engineering Education (ASEE). She was the Chair of International Conference on Machine Learning and Computing (ICMLC) in 2013, 2014 and 2016. And she was a guest editor for EDP Sciences in 2016. In 2017, she joined the editorial board of International Journal of Engineering Research in Electronics and Communication Engineering(IJERECE) and joined the team as an honorary member of Editorial Board of the journal, International Journal of Darshan Institute on Engineering Research and Emerging Technologies. She has been the editor-in-chief for International Journal of Machine Learning and Computing (IJMLC) since 2012. And she has been reviewing papers on regular basis for international conferences and journals since 2008.